Our arrival back on the Aussie mainland at Port Melbourne early in the morning followed a very smooth Bass Straight overnight crossing, with seas (waves) no more than 1-1½ metres high throughout the 9½-hour long voyage; all thanks to the high pressure anticyclone weather system that had settled over the region. 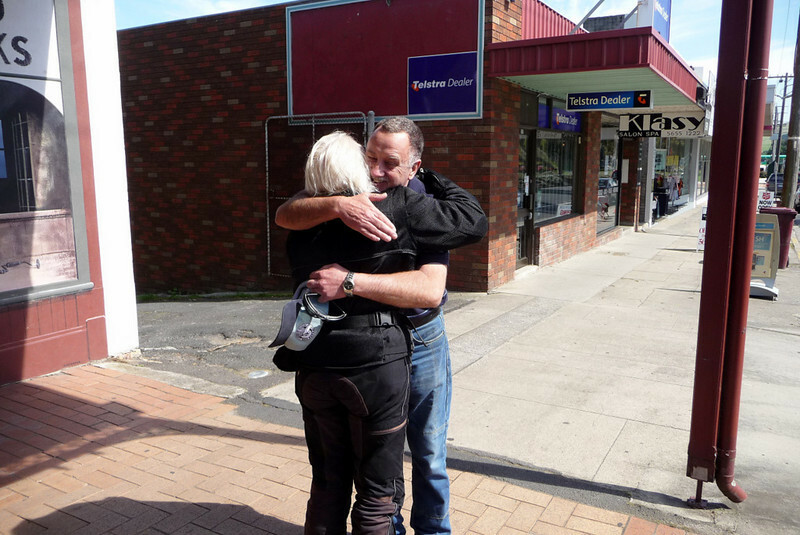 We turn right after disembarking and head southeast for 120 km [75 mi] to the township of Korumburra ..
.. where we had arranged to meet-up with our ol' Honda ST1300-riding cobber, Peter, who had travelled especially from his Adelaide-based home to (a) see us again after nearly 10 months; and (b) ride around the Victoria High Country with us, which is his favourite aussie motorcycling region of all. It was a good reunion .. and there was much news to discuss and catch-up on. I think it's fair to say that a lot of water had flowed under our metaphoric bridges since last we met back in early May of last year. 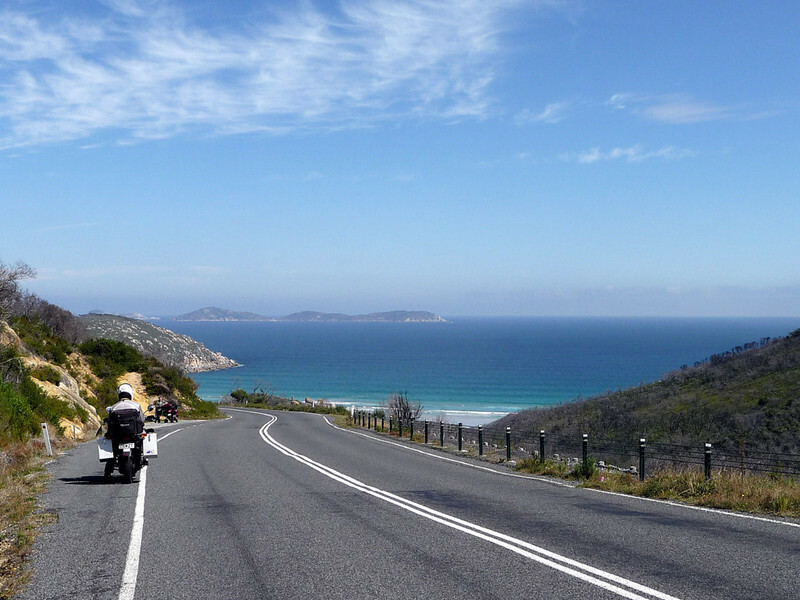 The three of us, on our two motorcycles, then continued in a south-easterly direction for another 100 km [62 mi] for Wilsons Promontory - colloquially called 'Wilsons Prom', or more often simply 'the Prom' - which is a peninsula located in the very southernmost part of the Australian mainland. It's quite sight to look down, and out to the Prom's headland, from its winding approach road. 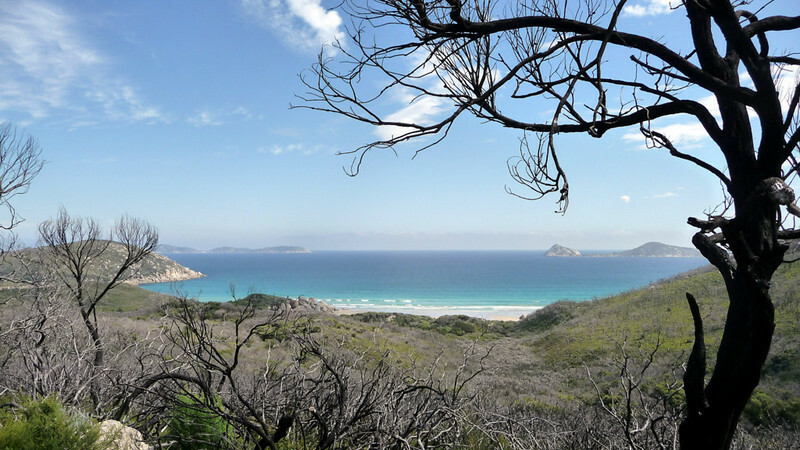 We soon reach Tidal River; the only permanent camping ground /visitors' facility within Wilsons Promontory National Park. 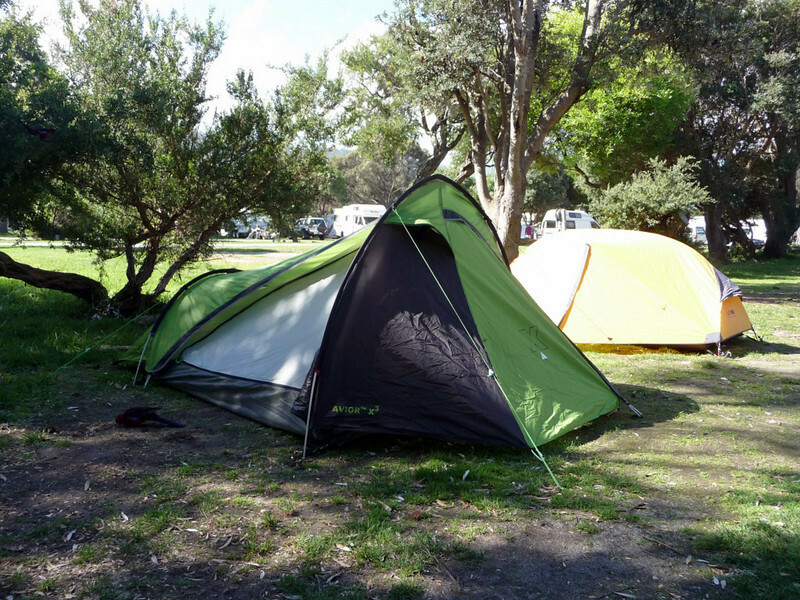 .. and it's time to set-up our brand new 3-man tent, which we brought with us from England. I start singing [in my mind]: Ging gang goolie .. to get into the mood; hoping in hope for a good night's sleep ahead. 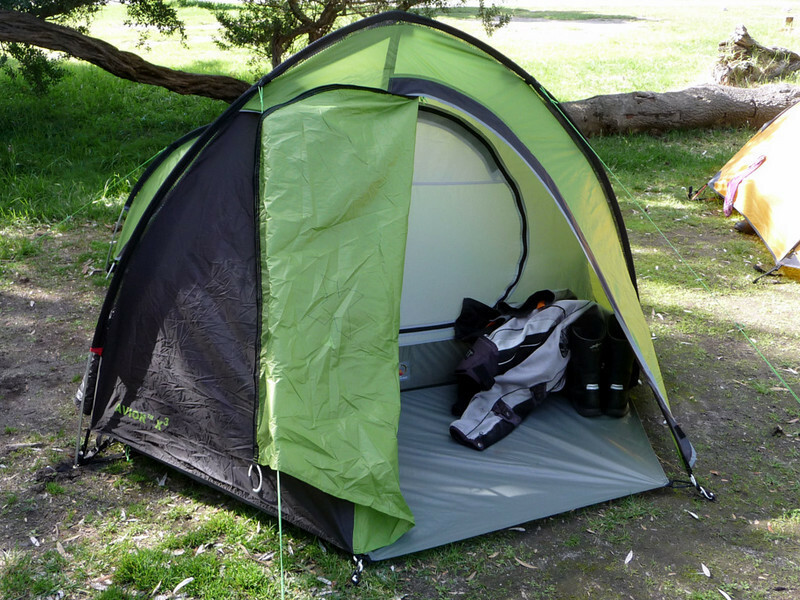 What erects in five minutes (after a bit of practise); packs away into a carry-bag size of 37cm x 16.5cm, and weighs just 2.95kg .. also comes complete with a decent sized vestibule for storage purposes. A proper little TARDIS. This will be my/our first foreign night under a tent's canopy for quite some time. Fingers crossed that it all works, eh?! 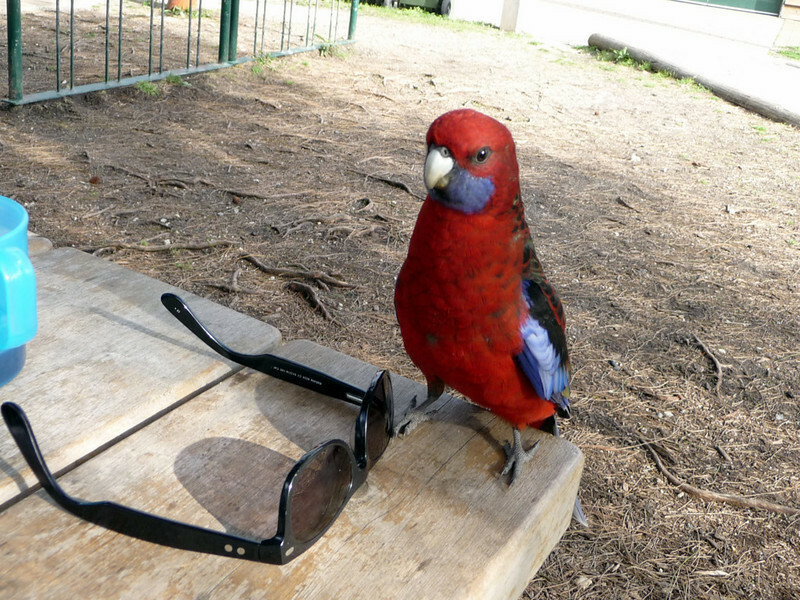 Supper that night comprises of a really tasty burger from the Tidal River's take-away café ..
.. under the watchful eyes of a handful of quite fearless Crimson Rosella Parrots - all looking for a free and easy snack. Dusk at the beach .. and we go for a walk along the Prom. 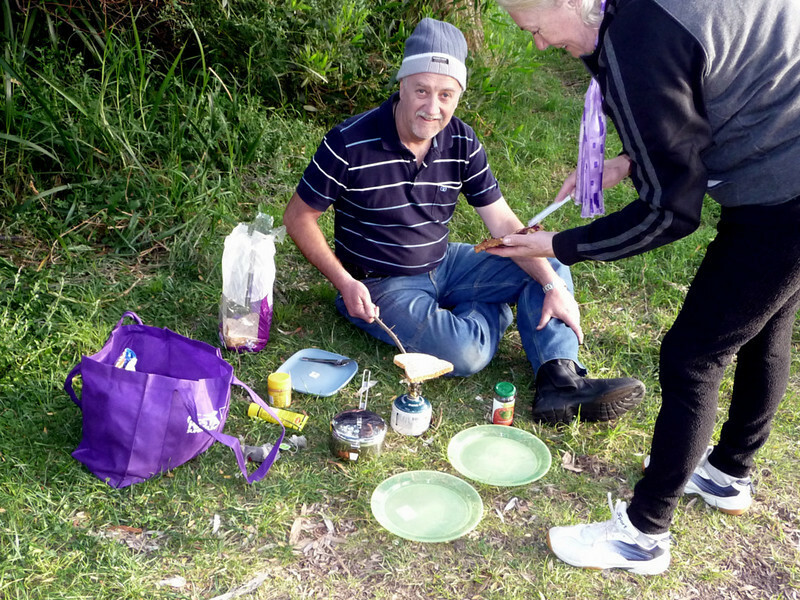 Toast and jams for breakfast - 'al fresco' style - cooked over Peter's little butane gas camping stove ..
' and-a one - two - three - four .. OH! and ' .. "Ging gang goolie goolie goolie goolie whatcha,. Ging gang goo, Ging gang goo .."
AND I got a full night's kip - of around seven hours! 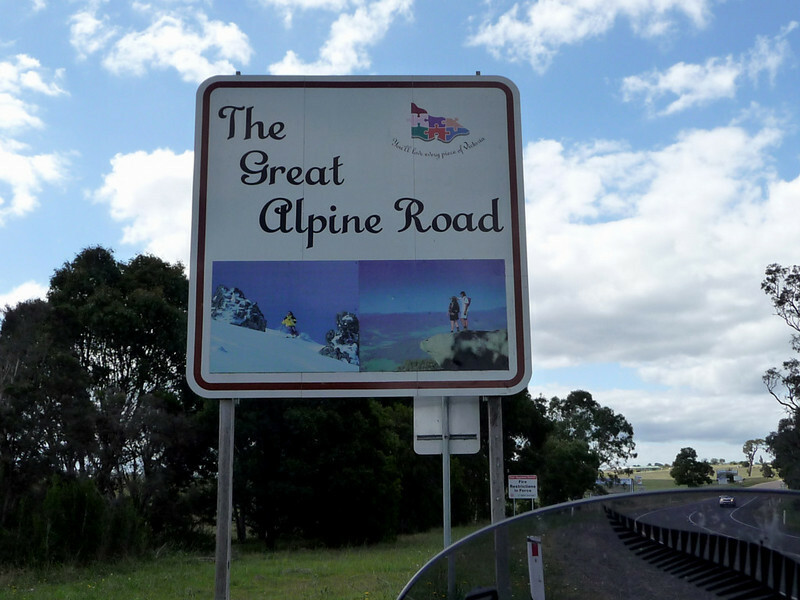 Time to head for the Victoria Highlands ..
.. up through - and over the top of the Great Alpine Road. 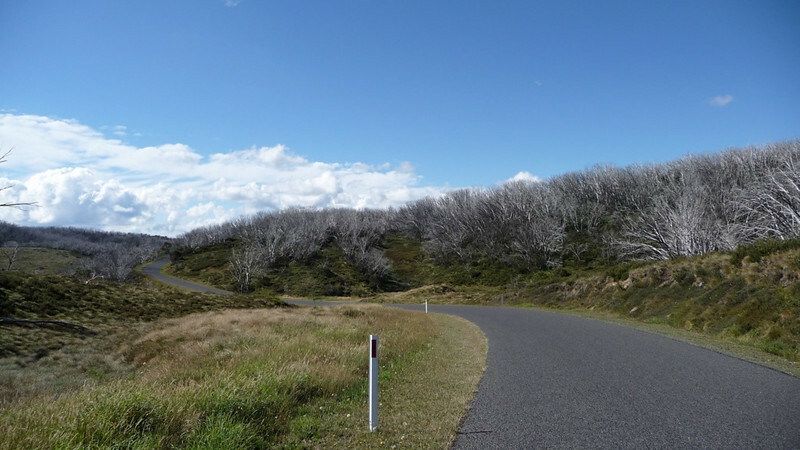 From Bruthen to Mt Hotham a good deal of the road surface is fairly new. The surveyors and civil engineers that built this diamond of a road, were clearly generous with their design. They must have been motorcyclists! It's a very very fast stretch of predictable contra-sweeping curves that goes-on-and-on for the thick end of 100 km [62 mi] - although there are a few corners that can fool you into thinking they're easier than they look. 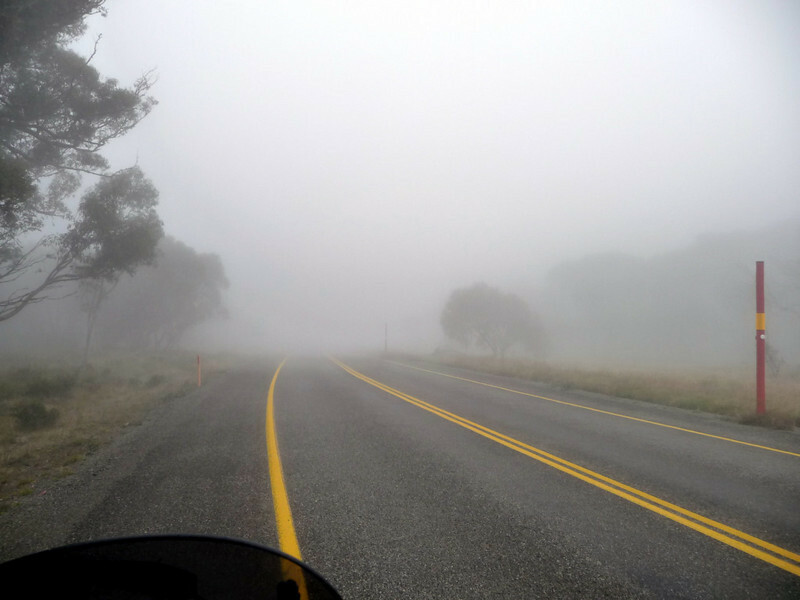 Riding across Dinner Plain, and we're all-of-a-sudden shrouded in a cool clammy fog for around 25 km [ 15½ mi]. Our speeds were reduced accordingly. 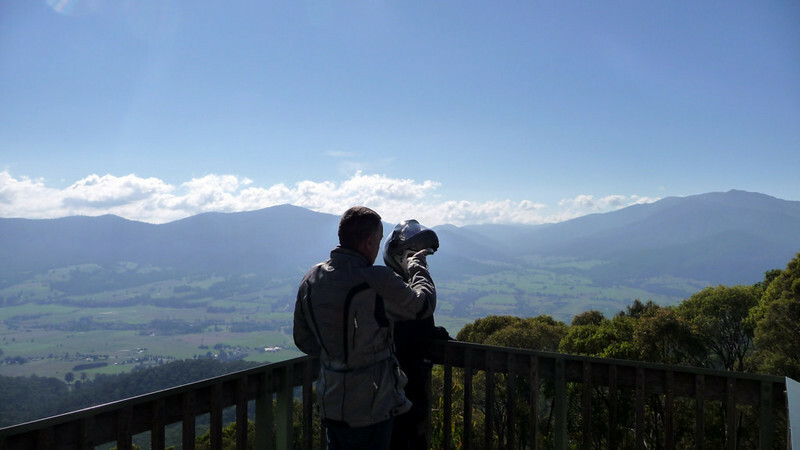 Before too long though, at an altitude of 1,861 metres [6,106 ft], we reach the summit of Mount Hotham ..
.. and then it was if someone had instantly drawn open the curtains .. and lifted the roof off the place. Within a matter of just a few seconds we were bathing in glorious warm sunshine .. and gazing out across a magnificent vista. 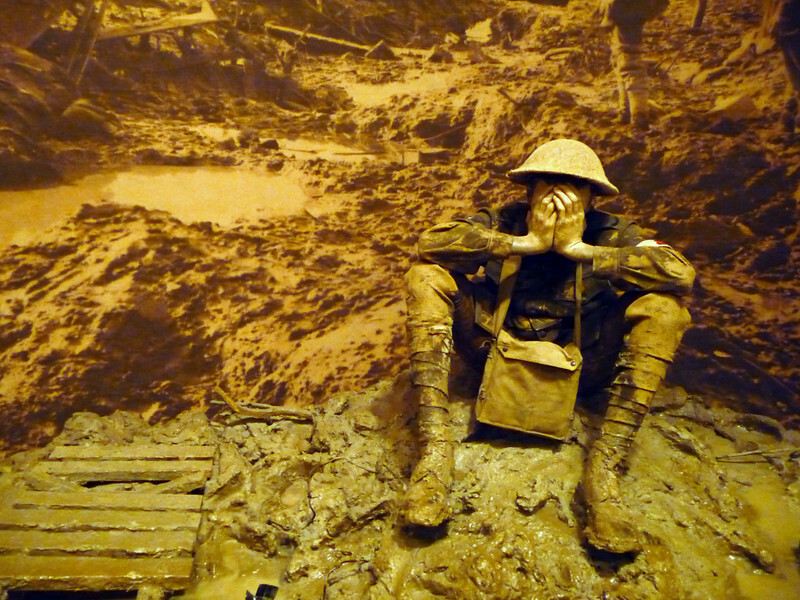 Panorama - click on the picture for full view. 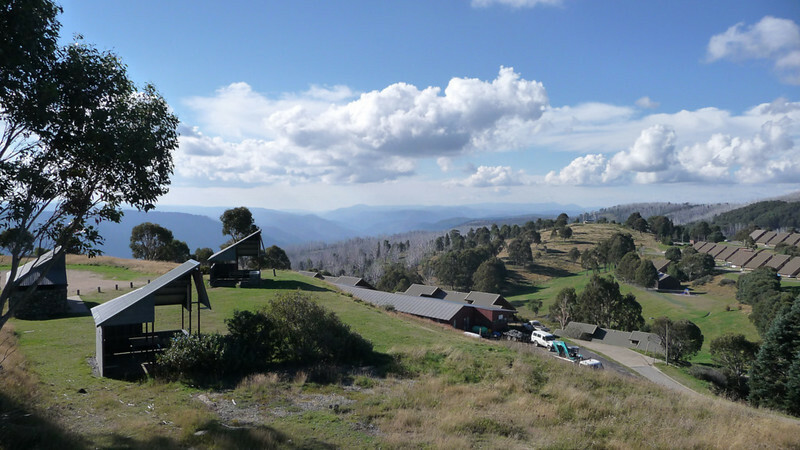 From Mt Hotham's summit down to the township of Harrietville, a distance of around 35 km [22 mi] it is an almost surreal succession of super-tight corners and switchbacks. Lose concentration at this stage for 2-3 seconds and you're likely to come to some serious grief; for more than 3-5 seconds and it could easily be the ending of you (and your pillion). At the bottom of mountain we stop to catch our breath. There was a distinct smell of burning brake pads in the air! Damn! I'm having too good a time. We're on the road again later than was good for us. Just too tired, I guess, from the previous day's activities. 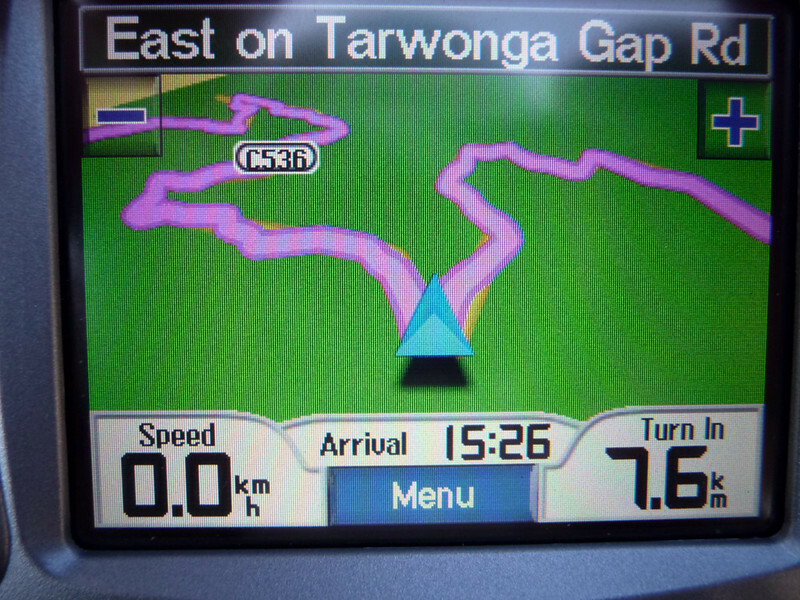 .. we're riding through a 'comparatively' straight stretch of road, as depicted by the display of my GPS unit. Another glorious day. 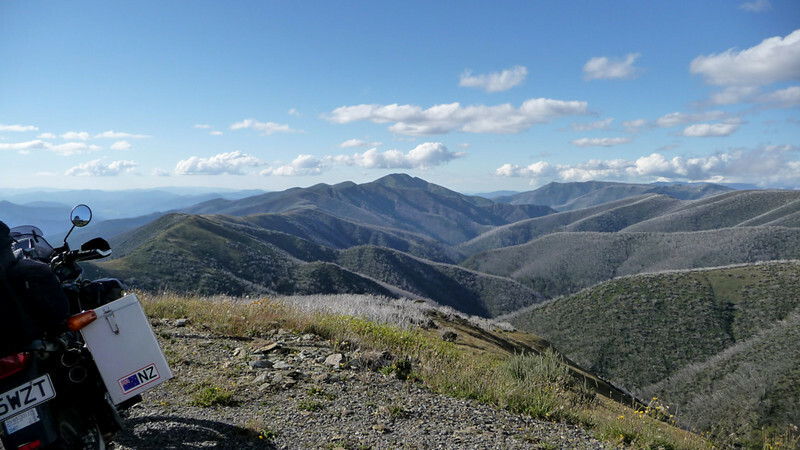 Our first stop at a lookout and Peter points-out the mountain range where lives Mt Kosciuszko, which is the tallest summit in Australia. 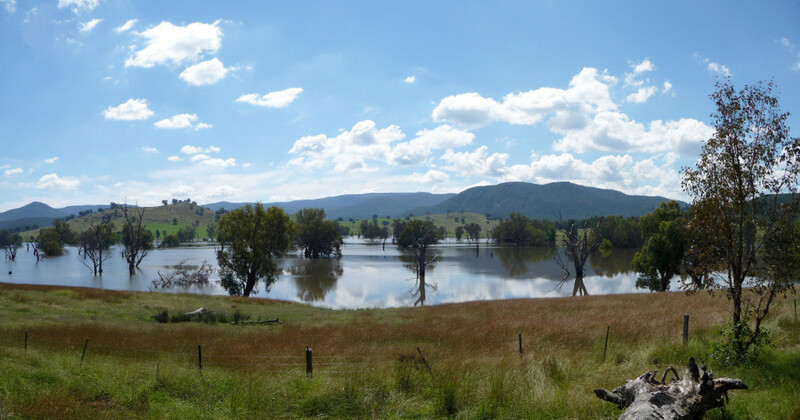 Australia's recent drought problem is now firmly in the past. As becomes obvious along the Riverside Road from Bellbridge to Corryong .. which presents us with a very tempting succession of open sweepers. 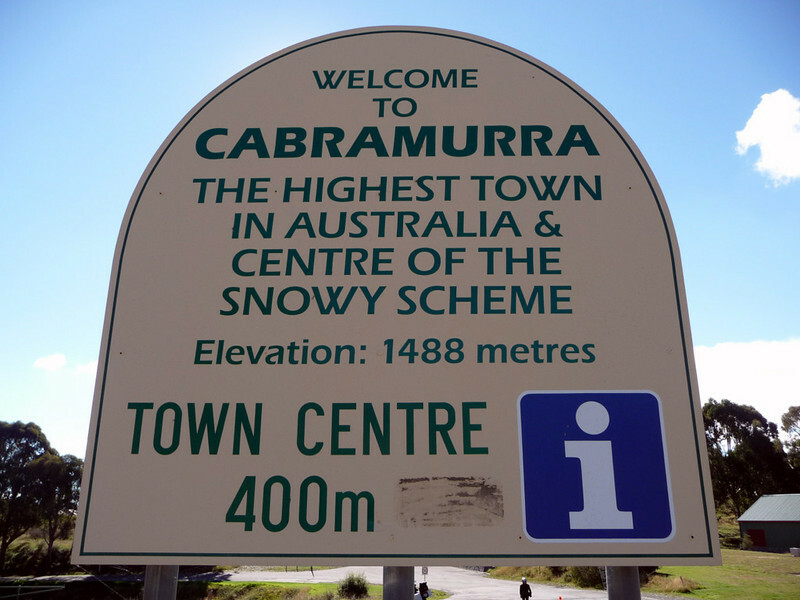 But we leave the valleys behind us .. and by mid-afternoon we're climbing again - this time up through The Snowy Mountains (the 'Snowies') ..
.. eventually to reach Cabramurra, Australia's highest town. The view from the lookout at Cabramurra - on a fine late summer's afternoon. 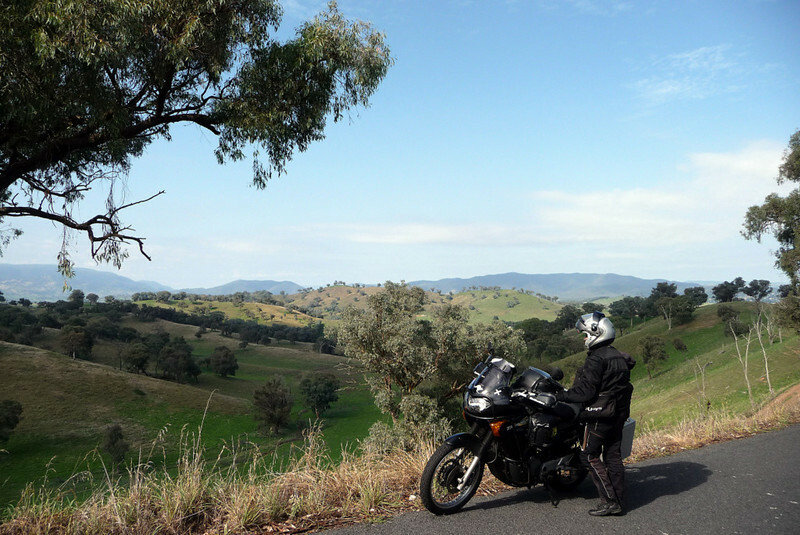 112 km [70 mi] later - about 1 hr 30 mins' ride - we finish these two magnificent days of motorcycling in Tumut. Roll your mouse pointer along the interactive track or elevation profile. Thinking about it, that's the equivalent to an ascent up the face of Mount Everest, from sea level (literally) .. over 1.6 times. And roughly the same back down again; much of the time riding in a seemingly endless series of fast sweeping curves and hair-pin bends .. in absolutely perfect motorcycling conditions. Analyzing the elevation profile (above) shows the big picture .. it was a roller-coaster; one BIG dipper of a ride. An amazing couple of days, that I'll never forget! 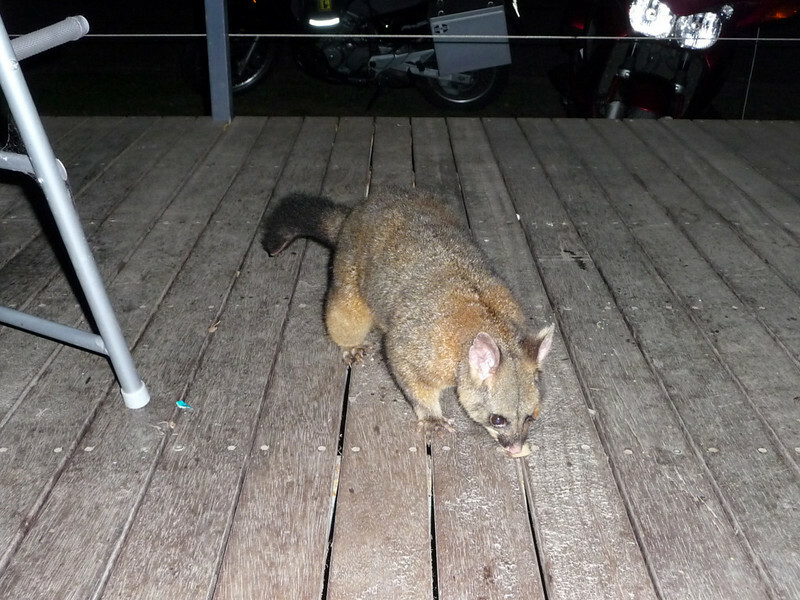 That night in Tumut we see our first live opossum, feeding on the some morsels of leftover cracker biscuits right outside our cabin entrance. We've seen loads of dead 'possums - hundreds (maybe thousands) of the roadkill variety over the course of the last five years during our travels. But this is the very first time we've seen one living-and-breathing 'up close and personal.' About the size of a large domestic cat, they're actually quite cute little critters .. don'tcha think? Treated generally as vermin in these parts though. 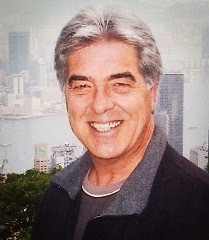 We exchange farewells with Peter. I make no secret of the fact that I'm not comfortable travelling in the company of others, especially in a group of motorcycles .. even in the smallest group of all, comprising of just two bikes. 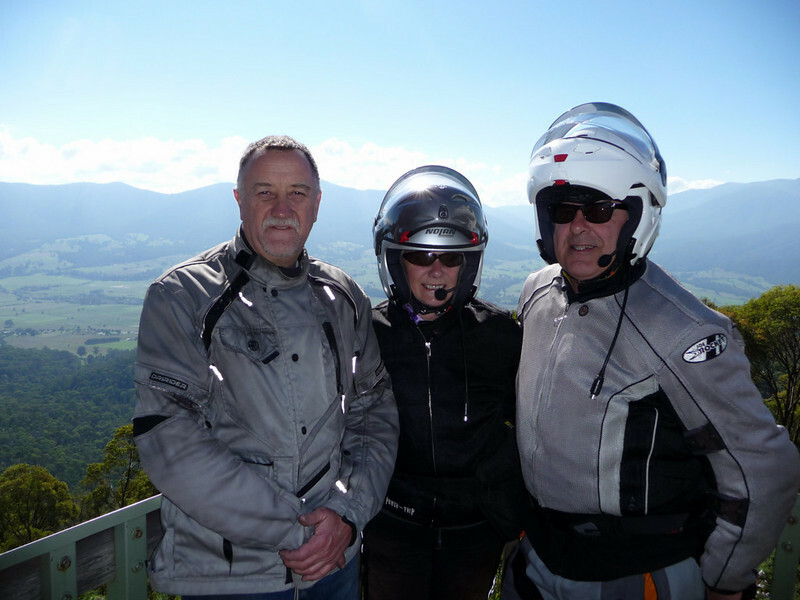 I can honestly say, however, that pairing-up with my ol' cobber, Pete, was one of the best motorcycling experiences I've ever had. I mean .. it really rocked! Thanks Peter [for everything] - and fair dinkum to ya mate .. let's do it all over again one day, eh?! 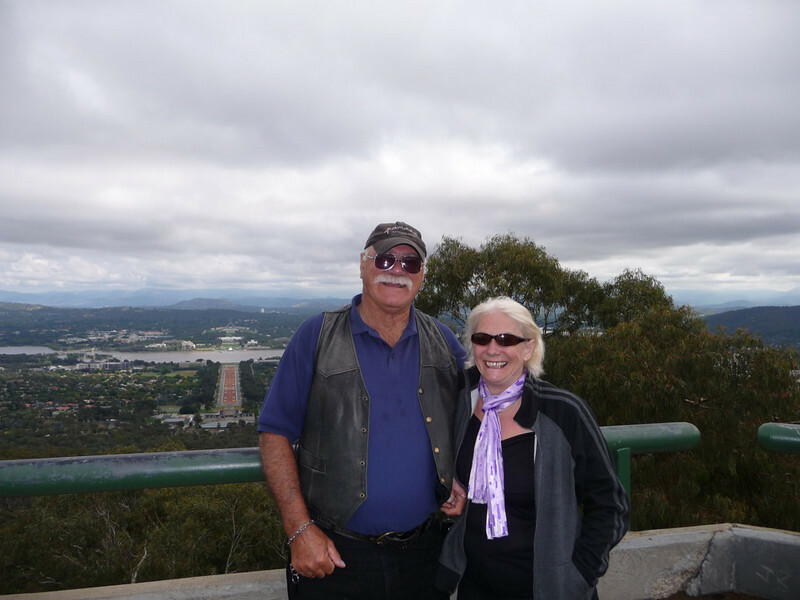 Then Margaret-Ellen and I make our way eastwards towards Canberra ACT, along the Wee Jasper Road ..
.. through yet more outstanding countryside. Significant sections of this road (like, most of it!) 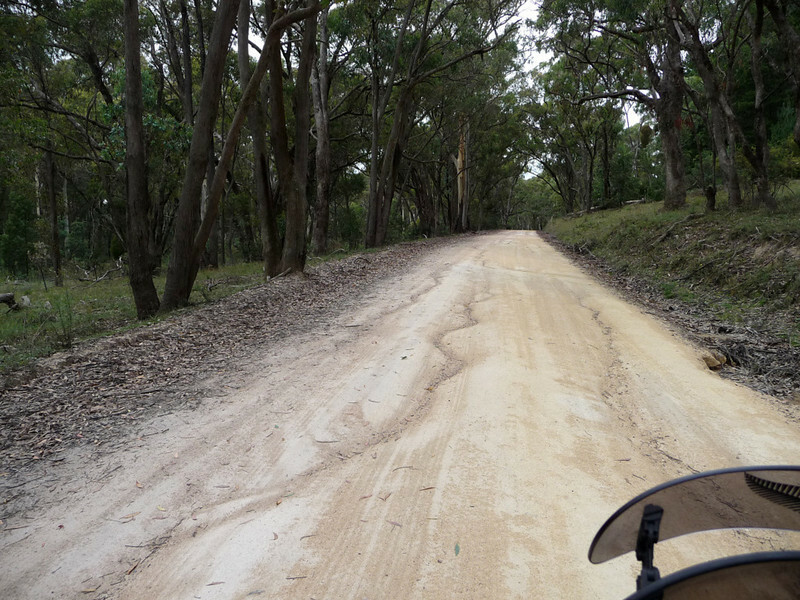 are gravel and dirt, which is .. eh-hem .. a far more 'interesting' surface upon which to ride a motorcycle than plain old asphalt. Fortunately it's mostly rough sand and/or finely-grained gravel, which tends to pack down hard and drain well. There are quite a few erosion channels, as you can see (above) but these are easy to dodge if you stay alert. The Transalp's big 21-inch front wheel easily coped with it all though; if there was a weak link along the 50-60 km length of this unsealed surface, then it was the chap gripping the handlebars! 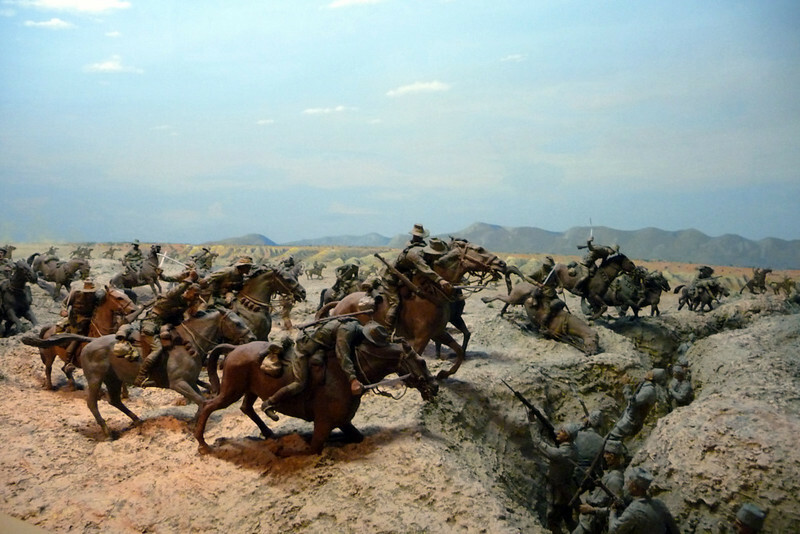 Having said that, Ellen reliably informs me that we were often skipping across sections of the Wee Jasper - especially after an hour or so - at speeds of up to 65-75 km/h [ > 45 mph]. 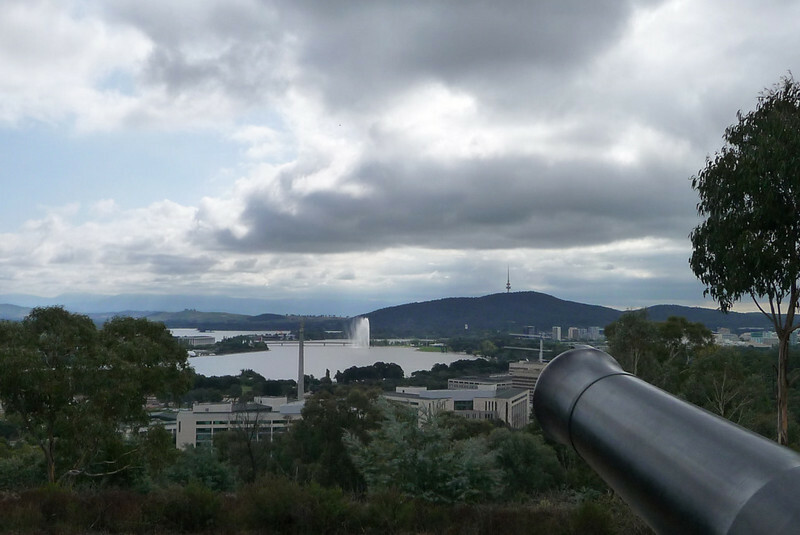 Whatever, it was a nice little excursion, which brought us eventually to the outskirts of Canberra, ACT (Australian Capital Territory). 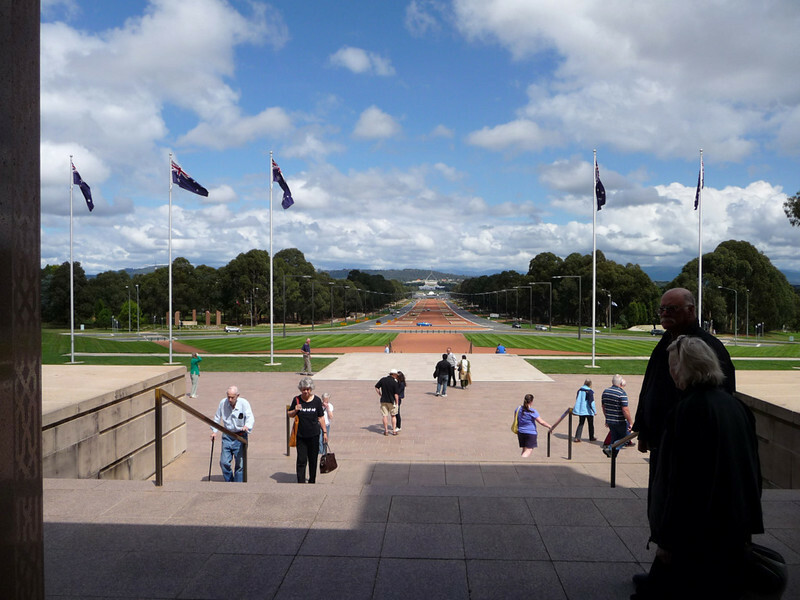 Canberra is Australia's capital city - and its largest inland city .. and the country's eighth-largest city overall. Where we meet-up with fellow Ulysses Club member ..
.. 'Big-Al', who looks a good 10-15 years younger than his actual age, which I won't disclose here. That afternoon Al (see, I have spelled your name correctly mate! .. ;-) showed us around his home city. Al spent 30 years of his working life helping to build his city, through running his own concrete transport business ..
.. and another 25 years keeping it secure, as a full-time security officer. Both positions he is eager and enthusiastic to talk about. 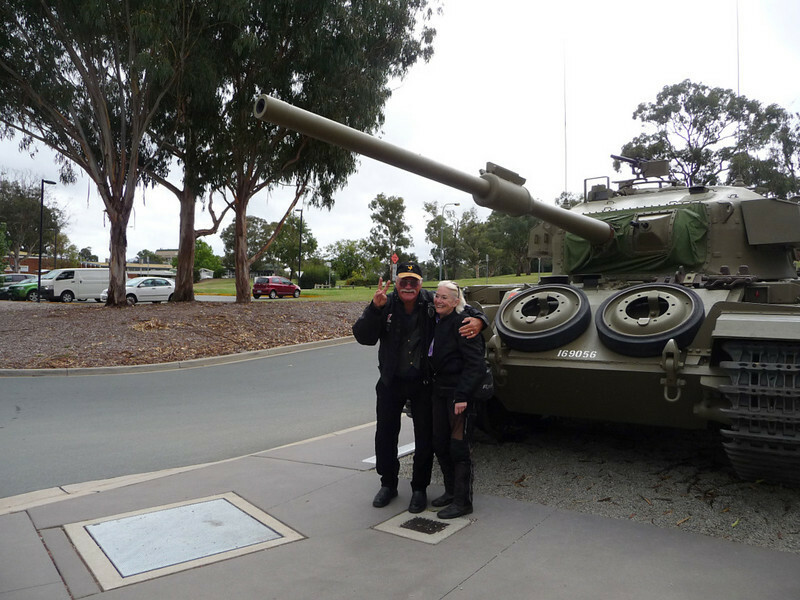 Al is indeed a proud Canberran. 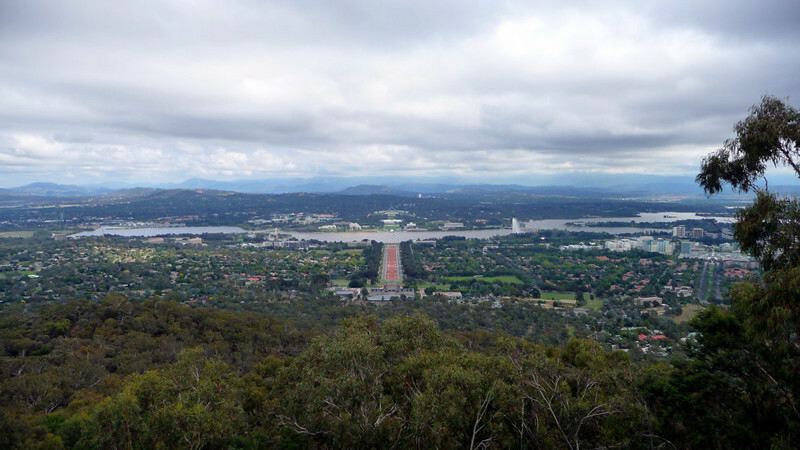 Canberra is called 'The Garden City', and holds within it's city limits several well planned (from outset) self-sufficient communities that are surrounded by "greenbelts" (parks); each contains proportionate areas of residences, shopping centres, schools, industry, and agriculture. 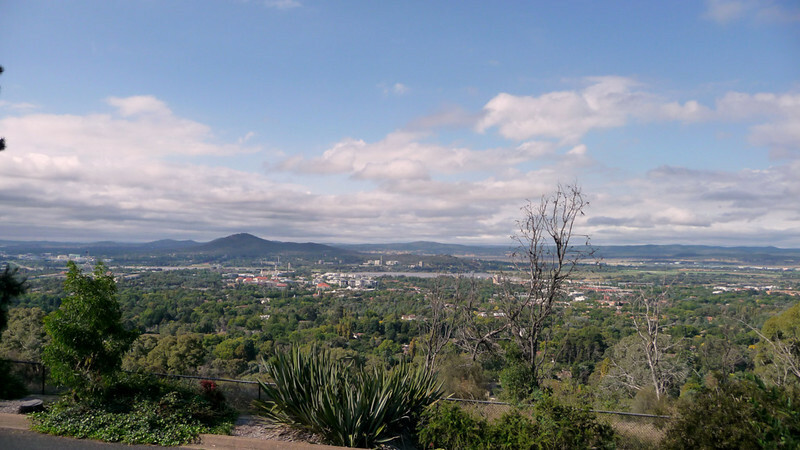 A fact that you wouldn't believe from its several high vantage points, like the one here at Red Hill (above). But trust me, there's a whole busy world going on under that green canopy of tree tops .. which must make for a hellofa mess [shedded leaves] during Autumn season! 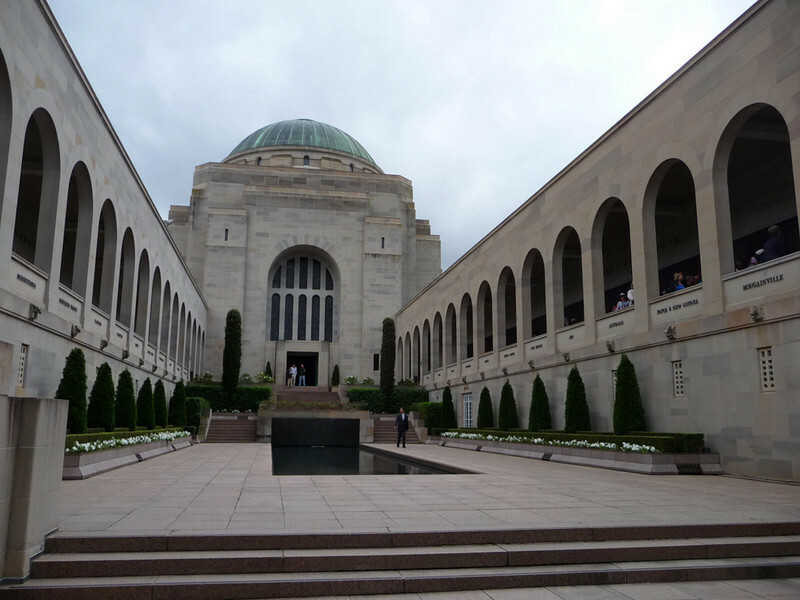 During the following morning of Saturday-19th, we visited the Australian War Memorial, which commemorates the lives of those who died for Australia and aims to create a better understanding of war. 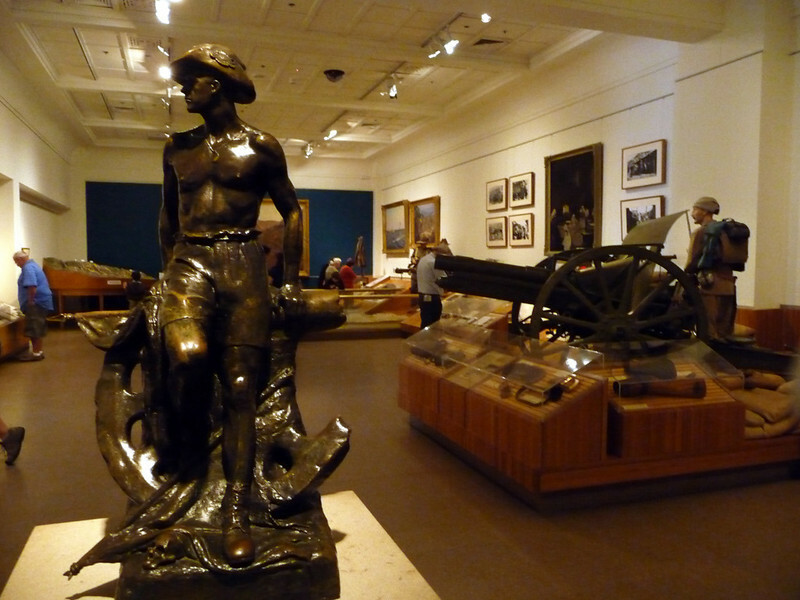 You could easily spend 2-3 days looking around the various museum sections, so the 3-hour quick skim we had wandering around in there hardly did it justice, which was a pity. 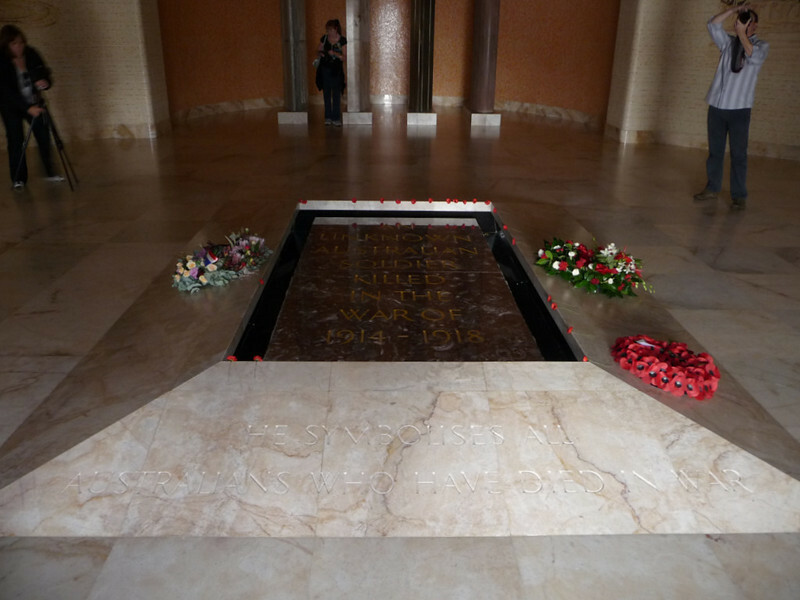 The Tomb of the Unknown Australian Soldier in the Hall of Memory. 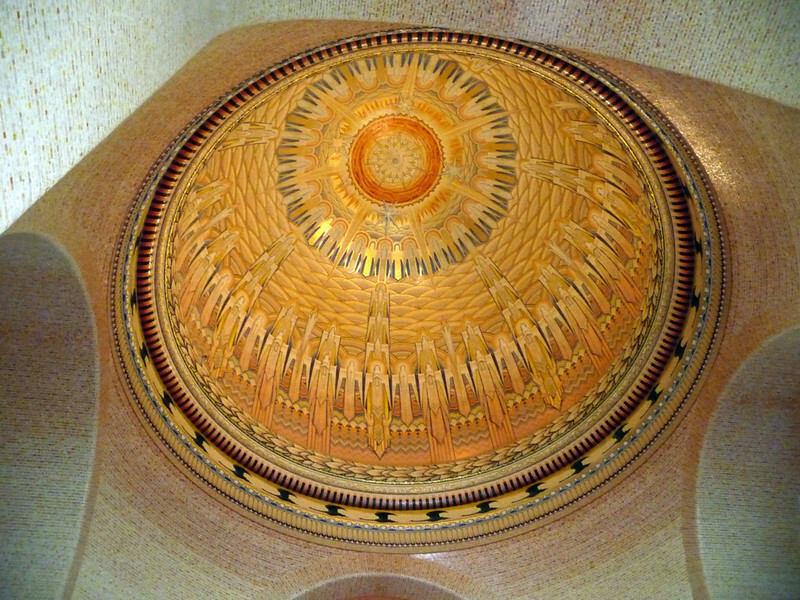 You get a sense of soaring height and space within this quiet solemn area, with its rich glowing colours ..
.. for instance, by looking up at the mosaic dome ceiling. 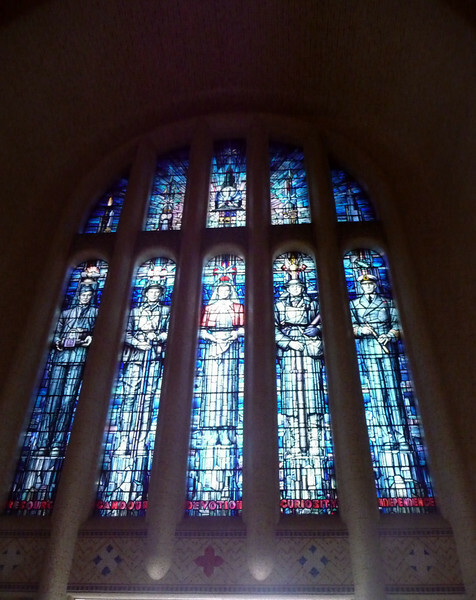 Stained-glass windows. There are fifteen altogether that let light into the Hall. 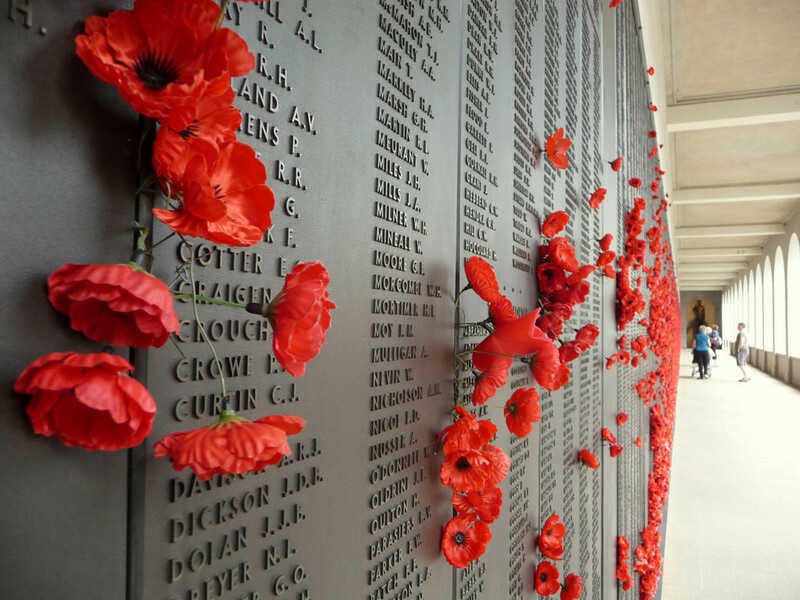 Just outside the Memorial's Hall of Memory, where the remains of the Unknown Soldier rest, there's the Roll of Honour, which is a long series of bronze panels recording the names of Australia's war dead (over 102,000 souls). 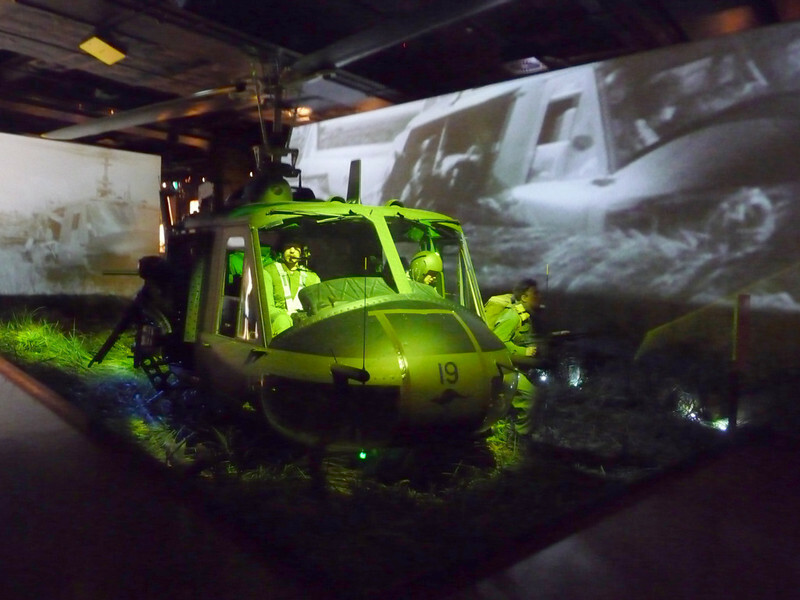 It reminded me, very much of 'The Wall' at the Vietnam Veterans Memorial in Washington DC, USA. 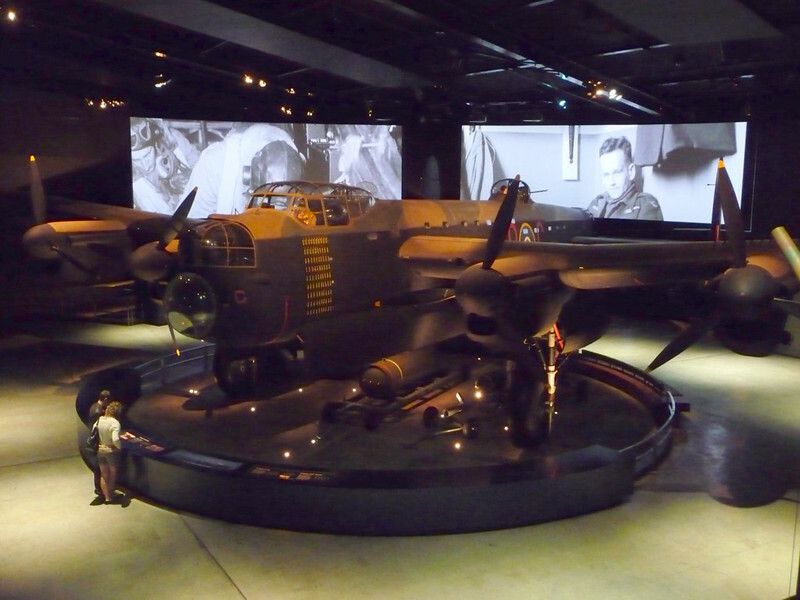 There are hundreds, probably thousands, of spectacular exhibits on display, like ..
.. real life [actual size] models ..
.. to the intricate modelling like the one above, which must have taken yonks to construct. 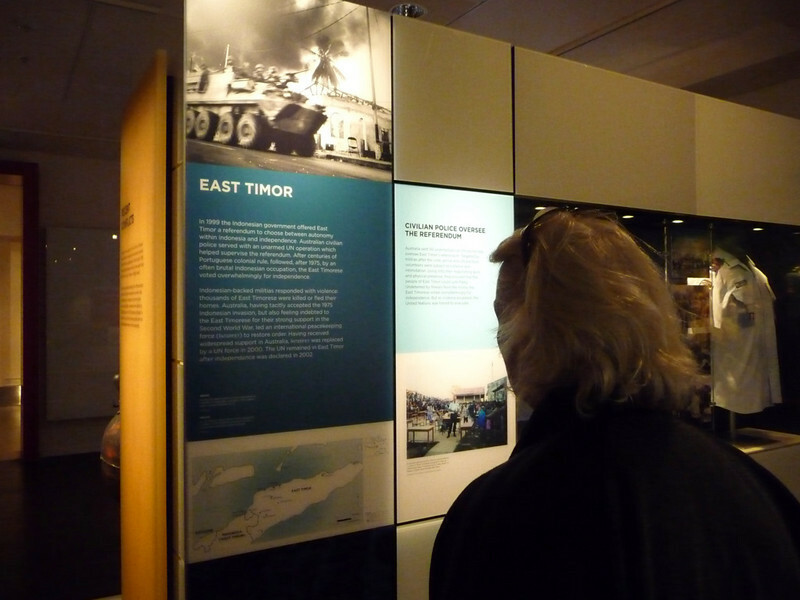 Ellen reads all about the recent history (and conflicts) of East Timor - now called Timor Leste - as this very new country might be the next place we visit .. later-on this year. It goes on and on. There's far too much to mention here .. even if we had seen it all (which we didn't). Back outside into the daylight and ..
.. yet another farewell; this time to Big-Al, a veritable gentle giant of a man, with a BIG heart. [To Al]: Thanks for your time and hospitality mate. And as you know, your lovely missus, Sandra, has probably changed my life forever, especially in respect of my computer's regular daily anti-virus software updates ..
"And About Bloody Time Too!" That afternoon we re-enter the state of NSW (New South Wales); and head down to the coast in search of a small taste of beachside life. 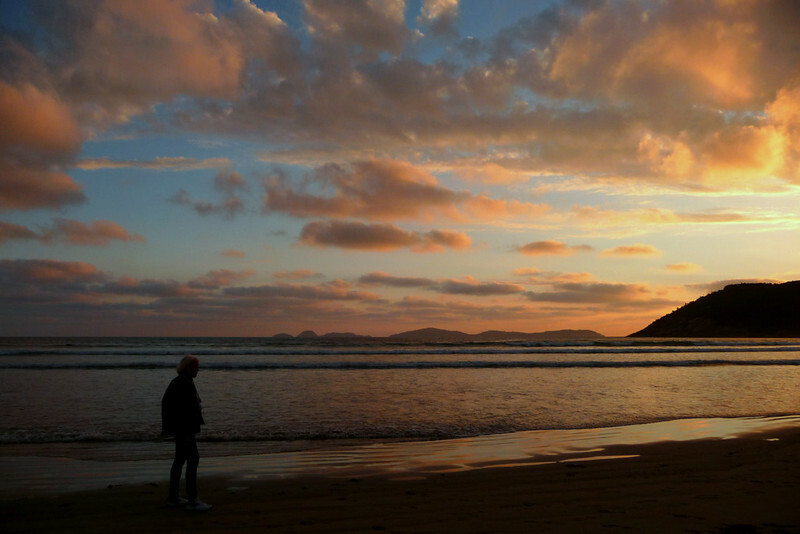 We end-up in Batemans Bay, which is on the Tasman Sea coast, about 150 km [93 mi] - approx. 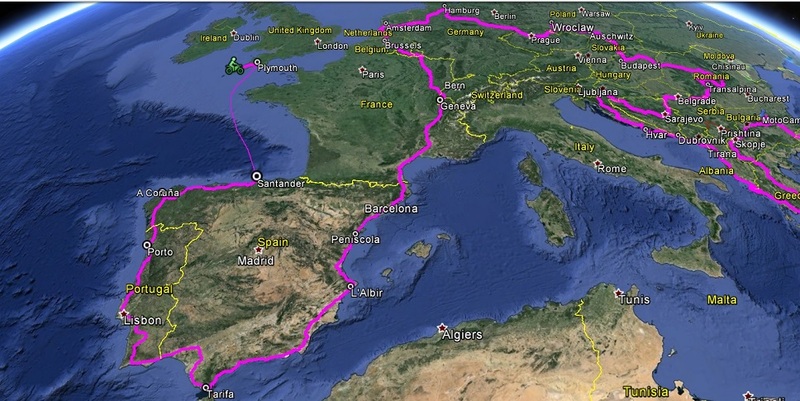 a 2-hour ride - towards the southeast. 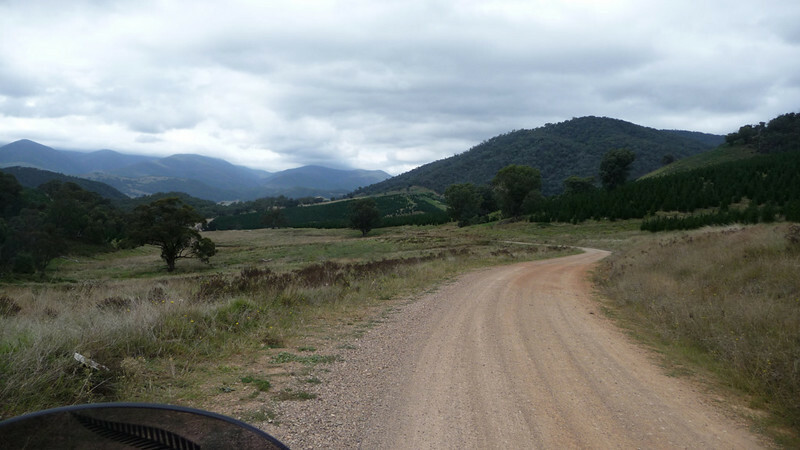 It p#ssed down with rain for the last hour of the journey ..
.. as it also did, sometimes quite torrentially hard, for the entire 275 km [171 mi] ride up to Sydney, which is where we are now, as I'm updating this blog. Better weather is due to arrive by the middle of the week though. Here's hoping .. BUT we can't complain, as the conditions have hitherto been quite excellent. More news to follow in around a week's time ..